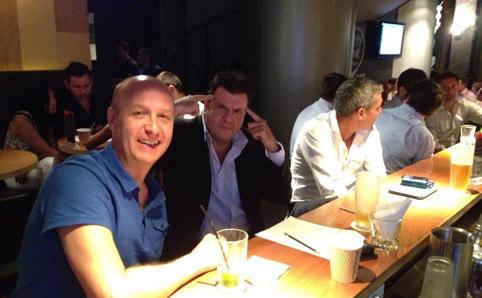 You’re in luck – there are plenty of pub quizzes in Singapore where you can get your trivia on. Gwen Pew and Natasha Hong round up the best pub quizzes for all types. Quizmasters John Genzler and Poonam Chaphekar. Format Five rounds, covering topics like general knowledge, British history and trivia, tourist attractions in South- East Asia, music lyrics and Jeopardystyle questions. Maximum team size Eight. Additional players can be added on for one point penalty each. What to expect Dominated by teams of mainly expats, Brewerkz’s quiz is located in a side room at its Riverside Point outlet, in a space that is separated from its general drinking crowd, unlike some others on this list. The atmosphere here is slightly more serious than most other quizzes, though there’s a regular stable of teams that maintain friendly relations with each other – a lone guy was invited to join a rival team when his quiz mates failed to show up one evening. They’ve got pretty-easy-totackle questions, and a mid-session break comes in the form of a headsand- tails game that awards the person to correctly guess the sequence of coin flips with a pint of Brewerkz beer. However, although it’s got almost the same number of rounds as most other quizzes, our Tuesday bout ended later than most, only finishing at 11.15pm. Prize The kitty of team entry fees and a $100 Brewerkz vouchers for the winning team, a $100 voucher for second place, and a five-litre mini-keg of Brewerkz beer for third place. #01-05/06 Riverside Point, 30 Merchant Rd (6438 7438, www.brewerkz.com.sg). Clarke Quay. Tue 8pm. $5/person. Format Five rounds including history, sports, business, mixed bag and picture. What to expect Winning the title of most punctual starter – we arrived less than five minutes late and found that we had already missed the first few questions, though the quizmaster kindly repeated them to us later on – this is also the most challenging out of the ones we tried. Contrary to our initial worries, it isn’t Aussie-themed, despite it being conducted in an Aussie-themed bar, but largely consists of advanced general knowledge questions. The regulars – who are mostly expats, at least on the night that we went – have a running tab of weekly scores in hopes of being crowned champion at the end of the season, but non-regulars are welcomed to come by anytime. Be warned, however, that there’s no running away from embarrassing scores (our team experienced some pretty bleak rounds), as answers are swapped and marked by fellow participants, and scores are broadcasted alongside the team names on a giant screen atop the bar. Definitely one for the more serious quizzers – you’ve got to know your stuff here. Prize The winning team gets their bar tab for drinks consumed throughout the quiz – excluding high-end spirits and wines – on the house. #01-15 The Quayside, 60 Robertson Quay (6738 1077,www.boomarang.com.sg). Take a taxi. Tue 8pm. Free. Quizmasters Russell Britton, who’s been doing it at Nosh for over a year. Format Six rounds including general questions, film titles, stick or bust, music, wild card and picture, plus a bonus round. What to expect One of our favourite quiz nights, Nosh offers something a bit more light-hearted and quirky than the others. The setting of their breezy outdoor terrace is beautiful and we loved the warm lighting, although our long table did make it a little difficult to communicate discreetly at times. The crowd here is a good mix of locals and expats; there was even a family with kids on the night that we went. The questions cover extensive grounds and one of the highlights is definitely the bonus round. On our night, the question was ‘guess the cocktail’, where we had to figure out the name and ingredients of our complimentary drink. There’s an ongoing eight-week league for regulars, with prizes for winners of individual nights, too. Prize $100 Nosh voucher for first place and a bottle of wine for second place. 9 Rochester Park (6779 4644, www.nosh.com.sg). Buona Vista. Wed 8pm. Free. Quizmasters Simon Burrows and Mark Reeve, who occasionally host other trivia nights around town. Format Six rounds, covering current affairs, TV and film, an alphabet round, stick or bust, connections and a picture bout. What to expect Held on most first and third Wednesdays of the month, Picotin continues its trivia nights from its nowclosed Horse City branch at its newish outlet out east with experienced quizmasters Burrows and Reeve. Its location deep in Opera Estate makes it a little harder to reach and therefore might appeal more to smarty pants living in the neighbourhood. Teams here are smaller groups of threes and fours, despite the eight member maximum, and tables are more than sufficiently spaced out that it’s easier to murmur speculated answers to your team mates. Questions, even in the current affairs category, leant more towards film and pop culture covering everything from 1930s crooners to 1980s horror trilogies, and our picture round was a challenging guess of film stills with its humans cleverly photoshopped out. The quiz is also quite generous, conducting mid-quiz name card draws to reward attendees with bottles of wine, and games of virtual golf at Urban Fairways. Prize $100 dining voucher for Picotin, and a $50 dining voucher for the runners up.1 Figaro St (6445 5590, www.picotin.com.sg). Take a taxi. 8pm, check website for dates. Free. Quizmasters Colin Chamberlain, aka the Quiz Master, who also hosts quizzes at Molly Malone’s and Lazy Lizard (check out his site here). Format Six rounds including ‘fictional dogs’, geography, music, science, connections and picture. What to expect Colin Chamberlain isn’t known as the Quiz Master for nothing – he runs three separate trivia nights around town every week, and tailors his questions to suit his audience at each venue. As the crowd at POW is largely older expats, the songs in the music round, for example, are mostly hits from the 1960s to ’80s. We liked the alfresco setting by the river underneath a covered tent, but some technical aspects could have been improved: the PA system was pretty terrible, and while the reusable laminated answer sheets is a great idea, our marker pens kept running out. Those minor issues aside, however, this is a solid quiz night that can be enjoyed by everyone. Prize A bucket of Heineken. 51 Boat Quay (6533 6296, www.pow.com.sg). Clarke Quay. Tue 8pm. Free. Quizmasters Founders Christine Chong, Lucas Ho, Lynnette Kang, Laremy Lee, Huiran Leong, Gabriel Seah and Eisen Teo, who started SG Tipsy Trivia in December 2012. Format Six rounds, with themes like ‘Bukit’, ‘More than Words’, ‘Thievery’, social media and a picture round. Maximum team size Six, though up to two extra players can be added on for a 3.5 point penalty each. What to expect Billed as the city’s only Singapore-themed quiz night, this is a roving event that takes place at restaurants and cafés around town every last Thursday of the month (past editions have taken place at Earshot Café, A for Arbite and the nowdefunct Via Mar at the Singapore Art Museum). Calling it Singapore-themed is a bit of a stretch though, as only 60 percent of the questions fielded cover life in the city, but questions like ‘What does NETS stand for?’ and ‘What is the motto for the Jurong Bird Park?’ are enough to make you face palm at all the things you wished you took more note of living in Singapore. Other questions in the more generic categories can sometimes be needlessly difficult, covering niches like linguistics, law and dead white men in the picture round, though the teams in attendance with deliciously punny names like ‘Team Ho Wan’, ‘Cereal Killers’ and ‘Merlion Sushi’ did add to the fun atmosphere by putting in random, funny answers, which the quiz hosts sportingly read out for comic relief. Prize 50 percent of the pot of registration fees for the winners, 30 percent for second place. Various locations. 7.30pm, every last Thur of the month. $5. Quizmaster Magazine editor Ranajit Dam, who’s been there for a year. Format Six rounds, with themes like mixed bag, TV & movies, sports, ‘Odd One Out’, plus either a music or picture segment and a connections round. What to expect Located right in the heart of the Marina Bay financial district, The Bank makes for a perfect post-work haunt for the white-collar CBD crowd. There’s usually a solid mass of punters occupying the bar’s outdoor seating, with the action inside also highly visible thanks to the venue’s full glass exterior. The questions cover a mass-market range of news and history, celebrity gossip, politics, and popular genres of music and Hollywood films – plus a few brain teaser questions that simply rely on logic. It’s great for a fun night out with dinner – there’s no entry fee and their burgers, pizzas and mains offer more solid fare than your typical pub grub. There’s also a lucky draw offering a brunch voucher for two. #01-01 One Shenton, 1 Shenton Way (6636 2188, www.thebankbar.com). Downtown. 7pm,second and fourth Tue every month. Free. Quizmaster Azmul Haque and guests. Format Six rounds including medley, sports, audio, advertisement taglines, connections and picture. What to expect The website states that a maximum of ten teams is allowed at the trivia night, but we needn’t have worried the evening we went as only five teams showed up (including an Urban Fairways staff team), and the quiz started more than half an hour late. Still, it ended up being a fun evening as the questions are a good mix of popular culture and general knowledge – not golf-themed as one might expect from the selfproclaimed ‘inner-city golfing oasis’ – and not too niche or technical. Even the music round included hits by artists ranging from Shaggy to Owl City (with a connecting theme of artists who have come for the F1), so there really is something for everyone here. This is also the only quiz we tried where the picture round could be used as the joker, which we took full advantage of. Prize $500 golfing voucher for four people for first place and a $100 dining voucher for second place. #01-07 Capital Tower, 168 Robinson Rd (6327 8045, www.urbanfairways.com). Tanjong Pagar. 7pm, second and fourth Tue every month. Free.